Content marketing is often compared to dating. You can't go straight from "hello" to "I do", but with a bit of courtship you can woo your leads and turn them into customers. 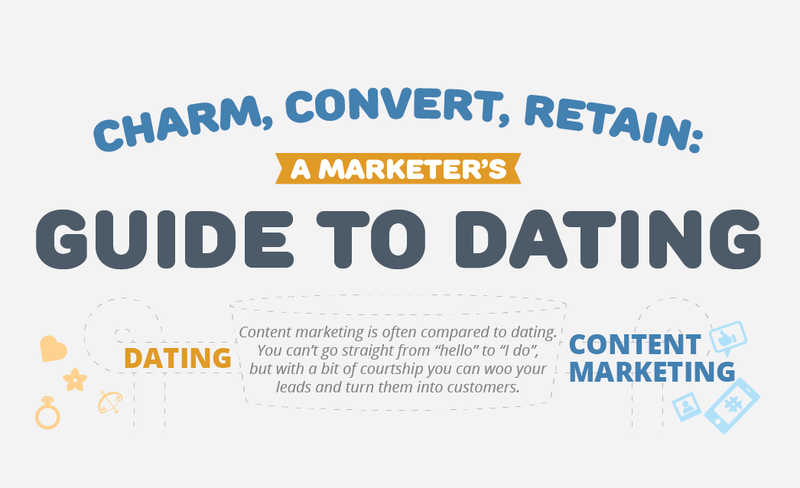 This infographic from ConstantContact illustrates the similarities between dating and content marketing - take a look and find out what you, as a content marketer can learn from dating. 1st Stage - Attract: Create content designed to build brand awareness and drive web traffic. 2nd Stage - Charm: Create high-value, in-depth content designed to build trust and strengthen the relationship between the vendor and the buyer. 3rd Stage Convert: You've nurtured your audience, now it's time to let them know why your business is right for them. And Last Stage - Retain: Once you've sealed the deal and made a conversation, you need to keep their interest with amazing content (freebies, gifts and offers).